The European economy is recovering at a rapid pace, but its prospects still bear the legacy of the worst economic and financial crisis since the creation of the single European currency. One of the problems that the head of the European Central Bank Mario Draghi has consistently pointed out over the last few years is the non-performing loans that hinder the effect of the ECB's eased monetary policy, which provides cheap money. This problem is also indicated in European Commission's economic forecasts (here and here). 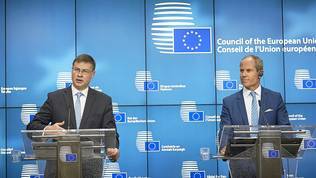 According to the report prepared by the Financial Services Committee of the EU Council of Finance and Economic Ministers (ECOFIN), presented at their last meeting on July 11, by the end of 2016, non-performing loans amounted to 1 trillion euro. This is equal to 6.7% of the EU's gross domestic product and 5.1% of the total amount of bank loans. The country situation varies by country from 1% to 46%. The ratio of non-performing loans per GDP is highest in Cyprus and Greece - 45%, while in Sweden and Luxembourg it is the lowest - 1%. A bank loan becomes non-performing when the debtor has not paid the instalments or the interest for more than 90 days. Under normal circumstances, banks use interest rates on loans to make profits and extend their credit portfolios, but when customers stop paying, then the bank has to set aside more capital, which shrinks lending and profitability. This is a problem repeatedly referred to by the ECB as one of the main obstacles to economic recovery, as European economy is almost entirely dependent on bank lending. The cheap money policy, which the ECB has been running for 5 years now - the fifth anniversary of Mario Draghi's notorious London speech in which he said that he would whatever it takes to save the euro (this speech was followed by the government bond buying programme) was marked on July 26th - drastically reduced banks' lending costs, but those overflowing with non-performing loans can not benefit until they clear their balance sheets. Finance ministers addressed this issue by agreeing on an action plan to solve the problem. As Estonian Finance Minister Toomas Tõniste, whose country took over the presidency of the Council of the EU on July 1, noted, "non-performing loans are a problem for the banking industry for which solutions have until now been mainly defined at the national level". "But in this issue we need more collective approach", he added. 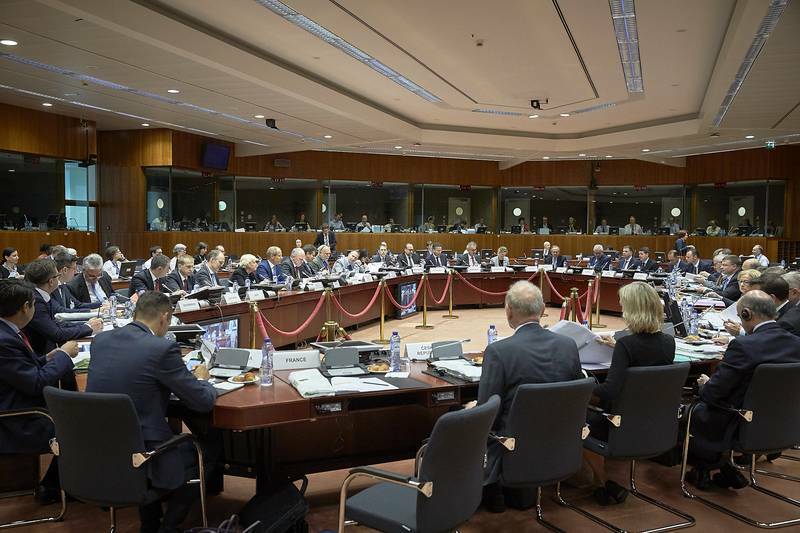 Ministers adopted conclusions, with which they instruct the Commission to prepare an interpretation of the powers in European supervision legislation as soon as this summer. The aim is to see what can be improved in terms of regulation and possibly to prepare changes to the fourth Capital Requirements Directive (CRD IV), which would determine the powers of national regulators. By the end of 2018 the banking supervisory body of the ECB, together with national competent authorities within the Banking union should begin to implement guidelines similar to those issued to non-performing loans of the single supervisory mechanism for banks, but directed to more minor institutions. Also, by the end of the next year, more stringent requirements should be set for disclosure of asset quality and non-performing loans in all banks. Ministers ask the Commission, the ECB and the European Banking Authority to prepare by the end of this year initiatives for uniform data standards on non-performing loans and the creation of platforms for transactions of such credits, whose aim will be to boost the development of the secondary market. In addition, ministers instructed the Commission to develop ideas for the creation of national "bad banks" by the end of the year, complete with general principles, sizes, price-setting rules, capital structures, governance, etc. By the summer of 2018, the Commission should develop a pan-European approach to the development of secondary non-performing credit markets. Ministers have agreed to a total of 14 actions in the plan and are committed to reviewing and discussing the issue every six months. According to European Commission Vice President responsible for the euro Valdis Dombrovskis (EPP, Latvia), the plan is well balanced between common actions and measures at the national level. 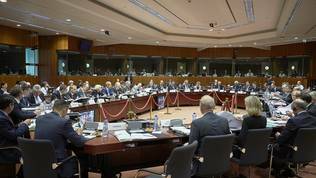 A day before the discussions in the Council of Ministers, the Commission opened a public consultation on how to remove barriers for companies wishing to buy non-performing loans and how to improve access to loan collateral for secured creditors. 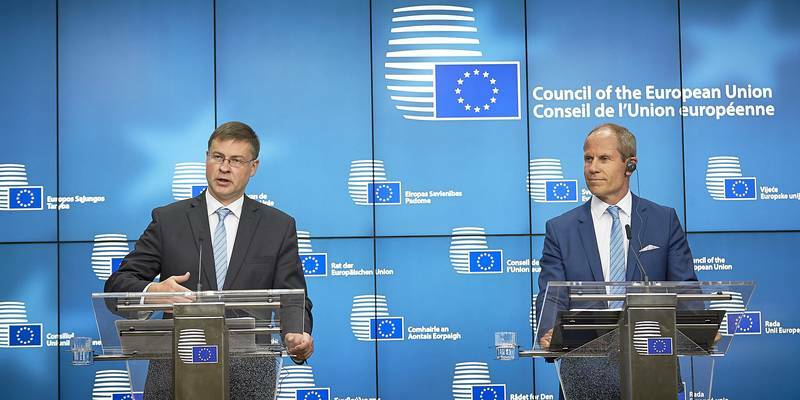 Valdis Dombrovskis explained that the aim of all measures is to facilitate the functioning of secondary markets for non-performing loans, including by solving the problem of information asymmetry as he called it. He was talking about the information banks provide about their non-performing loans, as often the lack of information discourages potential buyers from offering the right price. Valdis Dombrovskis also said that the proportion of non-performing loans is declining in countries where serious reforms of the banking sector have taken place. This is the case in Spain, which reduced the ratio from 8.8% in September 2014 to under 6% in December 2016. Ireland also has significantly lowered their level. In Italy, thanks to recently made decisions, 13% of non-performing loans were cleared from the banking system. If the recent private sale of non-performing loans by the largest Italian bank is added, the decrease is approaching 20%. Decrease in the ratio is also noted in Portugal, added the European Commission vice president. However, actions need to be accelerated up and synchronised, he said. Therefore, the plan is organised in four directions: oversight policy; structural and legal reforms that include insolvency rules; stimulating secondary markets for non-performing loans; support for the restructuring of the banking sector.